Samsung already offers more than a few options for the Always On Display clock, but you can never have too many options to choose from. The company has just introduced an app called ClockFace for all devices running Android 8.0 Oreo and up, adding almost 30 new faces to the lineup. After you install the app, open your AOD (or lockscreen) settings and scroll to the end of the horizontally-positioned list. 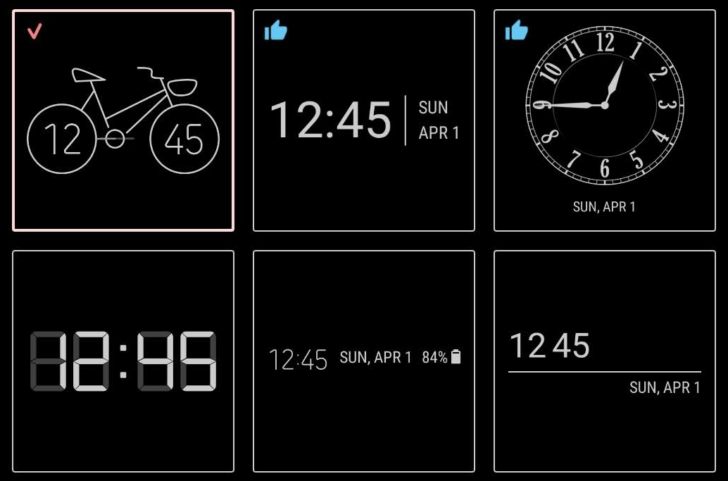 Tap the last option, and all of the new ClockFace styles will appear. There’s some interesting stuff here; the bicycle is obviously pretty unique, but there are some legitimately nice ones I’d consider using as well. You can tweak the colors for these, just like you can with the included ones. If you’d like to check this out, we’ve got the ClockFace APK over at APK Mirror ready to go. Keep in mind that your Samsung device needs to be running Android 8.0 Oreo for this to work.